Runners and walkers looking for a 5K race need look no further! 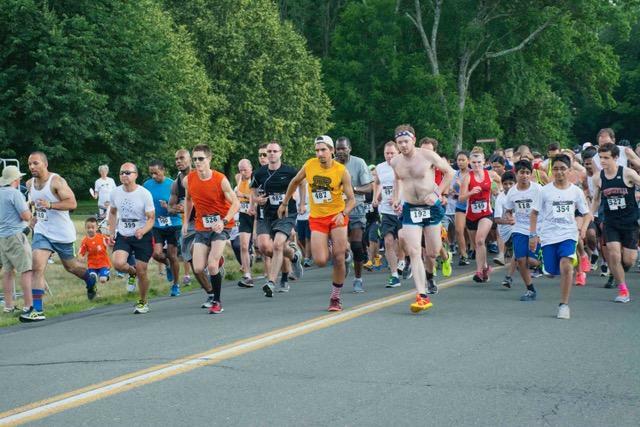 Educational Testing Service (ETS) and YWCA Princeton will host the 14th Annual Firecracker 5K Run/Walk on Tuesday, June 25th, 2019. The race is on a USATF-certified course and a USATF-NJ Grand Prix sanctioned event worth 500 points. All proceeds from the event will benefit the children and families of our Young Wonders Child Development Center. Online registration will shut down as of 10.00 PM on June 23, 2019. Race day registration will be available at 6.00 PM, one hour prior to the start of the race at 7.00 PM. All online registrants will receive a complimentary t-shirt and day-of registrants will receive t-shirts as supplies last. A complimentary buffet will be available during the awards ceremony following the race. Each year, we improve and expand our sponsors’ exposure.We rely on our on returning sponsors for the continued success of the event and encourage all new potential sponsors to join us today!All charitable contributions go directly to the YWCA Princeton’s Bilingual Nursery School. This program, for at-risk preschoolers from across Mercer County, provides dual-language learning and enrichment activities that prepare students to enter kindergarten on par with their peers. Name and logo displayed on our website. If you wish, we can display information as supplied by you, or provide a hyperlink from our Website to yours. Many hits are expected in the months leading up to the event. Name mention in all press releases. Local and regional newspapers are targeted. A display area, including a table, to distribute samples, show product displays, demonstrate product, etc. The table is located next to the registration and awards area to receive maximum visibility. Special mention at post-race awards presentation and in final press release. Sponsors are the backbone of the race and we cannot achieve change without them. Please ask Kate Liu or one of the other Race Committee members for more information concerning becoming a Race Sponsor . We realize that you expect your Sponsorship to provide you with quality visibility and we can definitely help you achieve these results. Supporting this race is a highly valuable way for you to show your concern and involvement with the Central New Jersey area while financially helping a worthwhile cause. If the Firecracker 5K Committee members have not contacted you yet, please feel free to contact us to discuss your participation in the Firecracker 5K. We welcome your support! 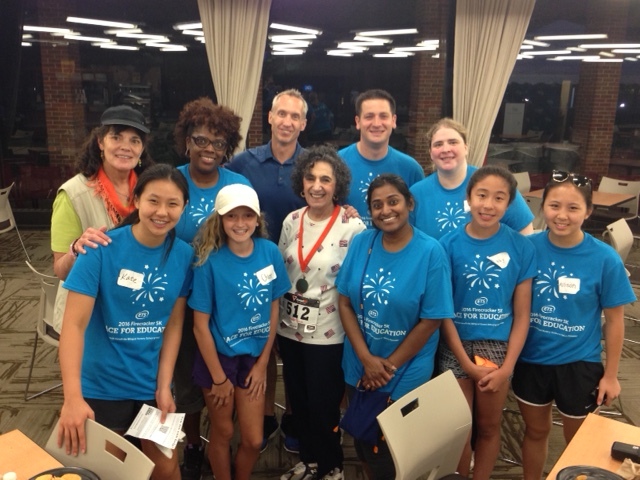 The YWCA Princeton and our generous partner, Educational Testing Service, are pleased to announce the 15th Annual ETS Firecracker 5K Run/Walk set for Tuesday evening, June 26, 2019. The race will begin promptly at 7:00 pm. The race will take place on the beautiful grounds of ETS on 660 Rosedale Road, Princeton, NJ 08540. The entrance to the campus can be accessed either through Carter Road or Rosedale Road. Cars will not be permitted to enter the campus or park after 6:30 pm, so please plan accordingly. The race is five kilometers long, and the course is a USATF certified course (Certification Code #NJ16007LMB) that is flat, safe, and perfect for serious and recreational runners and walkers. The 5K route is “walker-friendly,” meaning that all types of walkers including race-walkers are welcomed. Water stops will be placed conveniently along the way, as well as mile markers/timers, and encouraging cheerers. First, second, and third place awards will be given to winners in age-group categories in five year increments from 5 through 85+. Winning corporate and organizational teams will receive special recognition in the post-race award ceremony. Pre-registered participants will receive T-shirts. On hand for this festive occasion will be lively music, pre-race stretching session, a post-race buffet, and refreshments. All proceeds from this event support the YWCA Princeton’s Bilingual Nursery School. This program, for at-risk preschoolers from across Mercer County, provides dual-language learning and enrichment activities that prepare students to enter kindergarten on par with their peers. We are seeking numerous volunteers to make this race a success! Volunteers will receive a special volunteer t-shirt, a complimentary post-race buffet, and an invaluable experience that goes towards furthering a worthy cause! All volunteers will receive credit for their hours as needed. If you or someone you know are interested in this fun event, please email Kate Liu at kliu@ywcaprinceton.org.